I have posted so many pictures of places I visit, I sometimes forget that I have some really nice photos of my home area too. 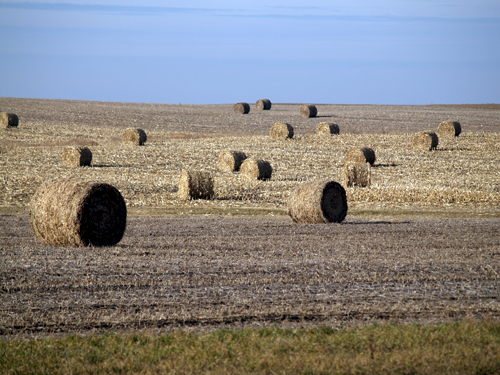 This is a photo of a field in Nebraska after some of the crop residue had been baled for livestock feed. I really like how the low light angle created dark shadows on the back side of the bales and how the ground color moves from green to gray to yellow before meeting the blue sky.